All aboard the Fun Express Trackless Train! A ride perfect for everyone from young children to adults. 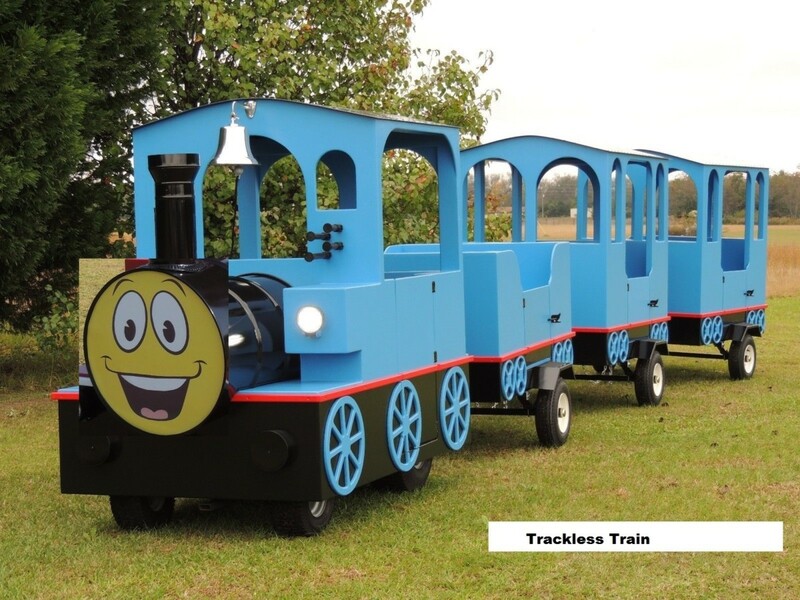 Kids will love riding the trackless train as it chugs around taking them for a ride. It is a realistic version of a real train. Since this train is “trackless”, it can go just about anywhere! Our train rental includes a conductor to drive the train for your party! Our Trackless Train can accommodate up to 12 children. If you have a train fanatic in the family, then this is the perfect rental to make all their dreams come true!